Waiver-wire additions and mid-to-late round picks helped define the fantasy football championship in Week 16. Your fantasy football league just may have been decided by a waiver-wire pickup or three. If it wasn't Nick Foles it was Jamaal Williams. If it wasn't the Green Bay back is was Elijah McGuire or Robby Anderson, a pair of Jets who hit the air on Sunday. Let's take a look at the fantasy standouts from Week 16. 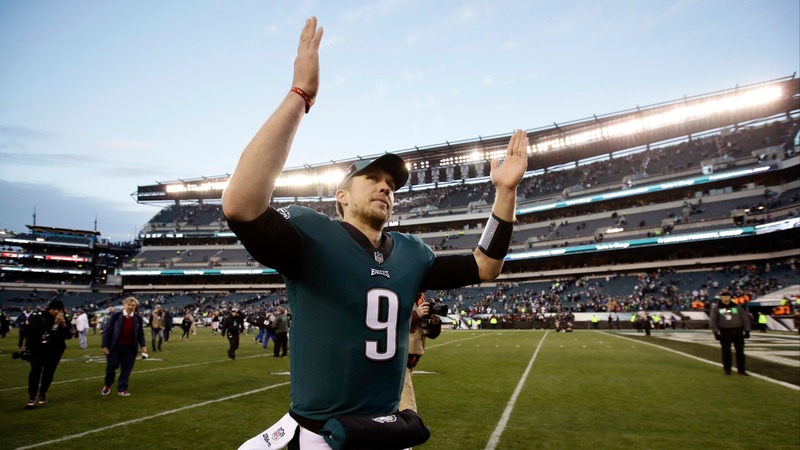 __More:__ [BetChicago Fantasy Football coverage](https://www.betchicago.com/fantasy-football) ## Nick Foles, Eagles QB Foles won Super Bowl MVP last year and Fantasy Football Super Bowl MVP this year. With Carson Wentz out and with a matchup against the Houston Texans’ sometimes-suspect pass defense, Foles was a spot play for those without Wentz and other passable options. Foles passed for 471 yards and four touchdowns with an interception and a fumble. Astounding numbers for the best backup in the biz. ## Aaron Rodgers, Packers QB Yes, Rodgers started the year as a top-3 quarterback, but he hasn’t played like it for much of the year. But as he is wont to do, he came through when it mattered. Not just for the Packers, whom he lifted to an overtime win over the New York Jets, but for fantasy owners for whom he had 442 passing yards and two touchdowns, plus two rushing touchdowns. Mr. Rodgers, we’re forever in your debt. ## Deshaun Watson, Texans QB Like Rodgers, Watson was much more than his impressive arm on Sunday. Watson had 339 passing yards and two touchdowns but also added two rushing touchdowns. What a return to prominence for a guy whose marvelous rookie season was cut short. __More:__ [Check out our bad beats of the week](https://www.betchicago.com/nfl-week-16-bad-beats-betting-recap) ## Elijah McGuire, Jets RB A waiver-wire pickup like Foles who may have tilted a title or two, McGuire’s touchdowns through the air and on the ground were enough to help him top 20 points. Not bad for a flex. ## Jamaal Williams, Packers RB Like McGuire, Williams was a late add who decided a thing or two. The Green Bay RB1 has had some success this season but with Aaron Jones out, Williams came through with 156 total yards, including 61 receiving yards, plus a touchdown. ## Sony Michel, Patriots RB Michel did not dominate like he would have had the Patriots backups not swiped a whopping 27 carries from him. But 118 yards and a touchdown on the day as a No. 2 is sure to lift some trophies. ## Robby Anderson, Jets WR Anderson sure looks like Sam Darnold’s preferred target heading into next year, which is good to see. Every good young quarterback has a good young partner in crime, and after nine grabs for 140 yards and a score, Anderson looks like one. __MORE:__ [Week 17 opening lines](https://www.betchicago.com/nfl-week-17-opening-lines-bears-vikings-playoffs) ## Nelson Agholor, Eagles WR Agholor was one of two main beneficiaries of Foles' big day (See below), catching five passes for 116 yards and a touchdown. That touchdown connection - an 83-yard score - may have been the highlight of Week 16. ## Kyle Rudolph, Vikings TE With the Vikings' running game - not to mention Stefon Diggs - just about bottled up, Minnesota turned to Kyle Rudolph. Particularly Kirk Cousins, who found Rudolph nine times for 122 yards and two touchdowns. Rudolph caught all nine targets, dwarfing Adam Thielen, who fantasy players rode all season to the finals only to see him underwhelm with 80 yards on five catches. ## Zach Ertz, Eagles TE (From see above). That's right, it was the Agholor-and-Ertz show, as the tight end complemented the deep threat with the short game, catching 12 passes on an impressive 16 targets for 110 yards and two touchdowns. Against an aggressive Texans pass defense, Ertz found the seams and just about cemented his status as a top-2 tight end next year.